An all-new version of the Skoda Octavia Scout has been launched at the Geneva Motor Show this week. It’s based on the latest iteration of Skoda’s popular family estate car, but features several modifications to make it a capable off-road performer to boot. We have first-hand experience of just how much you can do off-road in the previous generation Scout and came away very impressed indeed. To begin with Skoda’s engineers decided to raise the ride height by 33mm to 171mm overall, meaning that all-important ground clearance is increased. It’s got the firm’s all-wheel drive system installed too, which goes a mighty long way to ensuring you’re unlikely to lose traction when it matters most. Skoda promises “excellent steep-slope performance and high traction capacity”. We reckon it’s likely the firm will fit off-road equipment such as hill descent control and clever ESP to ensure if you do venture off the beaten track, the car will be able to offer that extra level of performance. On the outside of the car the Scout can be picked out from the rest of the range thanks to its plastic mouldings on the front and rear bumpers and wheel arches. This is a car with functionality in mind rather than fashion. We’re expecting a trio of engines – two diesels and one petrol – to be offered along with the choice of manual or automatic DSG gearboxes. As is the case with all cars these days, it’ll also prove more efficient and thus cheaper to run as car companies strive towards higher fuel economy and lower harmful gas emissions. First introduced in 2007, the Scout version of the Octavia has historically counted for eight percent of total Estate sales. 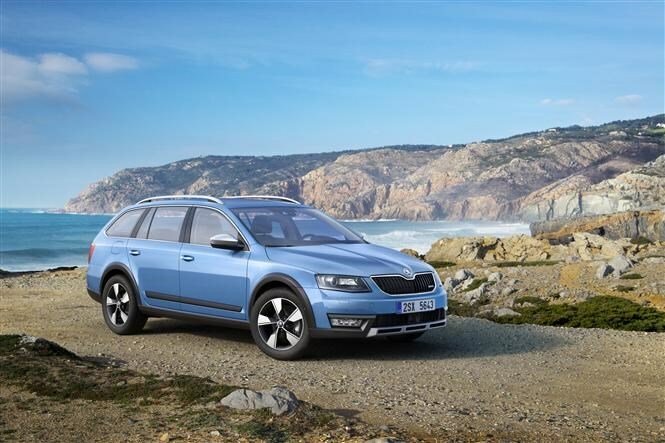 As on the normal Octavia, you can expect loads of cabin space along with a huge amount of boot room and Skoda’s ‘Simply Clever’ touches dotted around the car to make your life just that little bit easier. You’ll even find an ice scraper in the fuel filler cap cover. It’s also bound to be very comfortable yet will also handle well too. 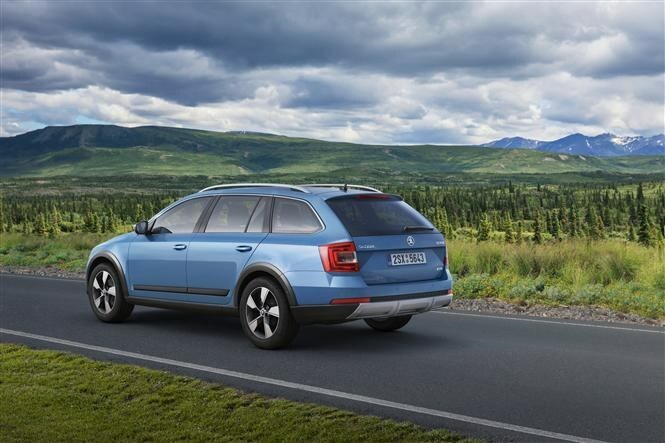 You can read about the previous generation Skoda Octavia Scout by clicking here.